You may think that it’s just an empty threat, but credit card companies and the debt collection agencies that often assume old debt can and will sue you for amounts owed. In fact, they aren’t legally allowed to threaten a lawsuit if they do not plan to go through with it. The chances that you’ll be sued for an unpaid credit card balance and the odds of the plaintiff being successful in recouping amounts owed depend on a variety of factors, including how far past due you are, when you made your last payment, and whether you can work out an alternative arrangement with your creditor. Financial institutions typically don’t sue customers who owe less than $1,000 or are making regular payments. As such, you shouldn’t need to worry about a lawsuit unless you owe a substantial amount and are well behind on your payments. Lawsuits aren’t the only collection methods that creditors have at their disposal, and a thorough understanding of all of their tactics is necessary to minimize the negative ramifications that can result from borrowing more than you can afford to pay back. First of all, it’s important to note that creditors will not pursue extraordinary collection measures if you have re-engaged with them and are currently making the required monthly minimum payments. Coarse Correspondence: Credit card delinquency will initially trigger a few rounds of warnings and notices, alerting you to missed payments, requesting that money be sent, and laying out the ramifications of not doing so. Limit Decreases & Account Deactivation: In order to mitigate the risk of non-payment and perhaps leverage inconvenience to glean some money from you, creditors will often prevent the continued use of your account. This might entail something as simple as reducing your limit to or below your current balance or even closing your account entirely. Selling Your Debt: Credit card companies are legally required to write-off defaulted debt (i.e. a balance that you are at least 180 days late on). That doesn’t mean you aren’t on the hook for it, but rather that your creditor is likely to sell the debt obligation to a collection agency for cents on the dollar.Debt collectors – which most people consider to be far less scrupulous than major banks – buy old debt in the hopes of wrangling payment from consumers and thereby turning a profit on the transaction. And while the “regulatory environment has changed because the CFPB has made it clear it will be aggressive,” according to Mark E. Budnitz, professor of law emeritus at the Georgia State University College of Law, you must still be very careful when dealing with debt collectors and notify regulators if they try to pull anything fishy. Threats: As your debt situation worsens, the threats of a lawsuit, ruined credit, incessant phone calls, etc., will begin to fly, regardless of whether you’re dealing with your credit card company or a debt collector. Take these threats seriously, but also know that regulations dictate what creditors/debt collectors can legally threaten and act on. When a credit card debt collector threatens a lawsuit, you are officially on notice because laws dictate that legal action seeking to recoup unpaid debt cannot be threatened if it is not being seriously contemplated. As such, severely indebted, delinquent consumers should be on the lookout for court notices. Missing or failing to respond to a summons can result in a court issuing a default judgment against you, and that can lead to wage garnishment, asset repossession, and liability for the full balance in question. Your Day in Court: Even if there is no question in your mind that you owe the amount you’re being sued for, showing up in court is a must. Debt collectors bank on consumers not appearing in court, allowing a default judgment to be levied. Appearing in court will also give you a chance to ask for proof that you owe the amount in question. Ask for Proof: In many cases simply asking for proof that you owe the amount in question will lead the plaintiff to settle. The time and effort required to prove the legitimacy of credit card debt often outweighs the potential reward of a positive judgment for debt collectors. That’s especially true if your credit card company sold your debt obligation to a debt collection agency because the terms of such sales often free creditors from having to prove the veracity of their records. Without proof, a win in court will be hard to come by for a debt collector, and the burden of providing said proof is theirs alone. Court Judgments: There are a few different ways that courts can rule on a credit card debt lawsuit. They can dismiss the case, find that you owe less than the amount contested, or rule in the plaintiff’s favor and order payment of the entire balance. The ruling that is ultimately reached in your case will depend on your presence in court and the evidence against you. Approved Collection Methods: While you can’t be put in jail as the result of a lost credit card lawsuit, the plaintiff may be able to garnish your wages, take funds directly from your bank account, or even repossess material assets. At the very least, you’ll be required to adhere to a defined payment plan. There are a few ways in which indebted consumers can minimize the chances of a lawsuit, avoid losing one when brought, and prevent undue headaches in the aftermath. Try to Settle: If you have already defaulted on what you owe or are close to doing so, you can attempt to negotiate an amended payment agreement with your creditor. Your basic options are debt settlement (a lump-sum payment for part of what you owe in return for the rest being forgiven) and debt management (creating a payment plan that will reduce your monthly burden yet ensure the creditor ultimately receives all of what you owe).Both strategies have their corresponding advantages and disadvantages, and you can choose to handle each process yourself or with the aid of a reputable attorney or non-profit organization. In either case, adhering to an agreement reached with your creditor will eliminate the threat of a lawsuit (make sure to get that in writing). Seek Legal Advice: Should you receive a notice to appear in court, seek out an attorney who is well-versed in consumer debt matters in order to find out what your options are and devise a plan. 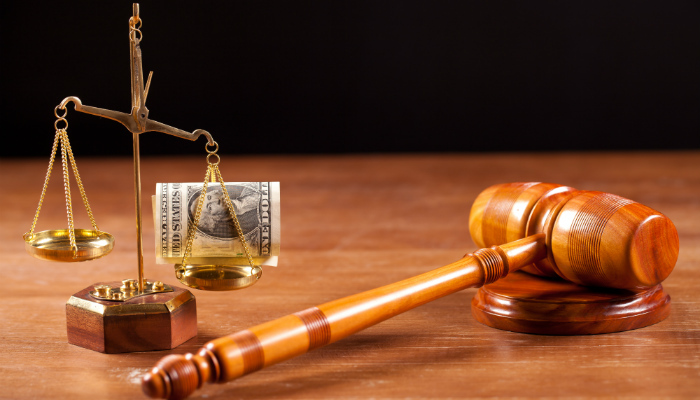 Many attorneys offer free consultations, but even if you wind up having to pay for legal services, doing so is probably worth it considering the costs associated with losing in court. Determine if Your Debt is Time-Barred: If you have not made a payment toward your debt for a number of years, the statute of limitations for the owner of the debt to bring a lawsuit may have expired. At that point, your debt is considered time-barred, and as long as you broach the age of your balance in court, the case will be dismissed. Just make sure that you’re aware of the SOL for credit card debt in your state as well as how you can use conflicting state laws to your advantage. Make Sure Both Parties Adhere to the Judgment: Whether you reach a settlement agreement with a creditor or a court rules against you, adhering to the terms of any final decision is critical to avoiding additional complications. In other words, make sure to submit payments in the amount and by the date specified and keep close tabs on what the creditor is up to in case they try to exceed their legal rights though unapproved collections efforts. Rebuild Your Credit: Once all the debt has settled, you’ll need to start the rebuilding process. Reversing the credit score damage done by missed payments and/or default is central to this process, as one’s credit score dictates the loan rates they can garner as well their ability to lease a car, rent an apartment, or get hired for certain types of jobs.Credit cards are actually the best credit building tools available to consumers, as they require little investment and send information to the major credit bureaus on a monthly basis. As long as this information is positive (i.e. reflecting on-time payments and low credit utilization), it will gradually devalue the negative information in your credit reports and improve your credit score. Getting sued for credit card debt is no joke. It’s not something that will go away if you ignore it either. Rather, it’s something that you must approach with care, a thorough understanding of how the debt collection process works, and a bit of resolve. Oftentimes, simply requesting that a creditor provide proof of the debt it says you owe will be enough to get them to drop the case, thinking that the juice isn’t worth the squeeze. Regardless of whether you escape the debt collection process unscathed or find yourself on the wrong end of a court’s default judgment (which will necessitate payment in full), it’s important to note that your work cannot end there. Not only will you have to abide by the terms of whatever debt resolution you and your creditor reach, but you must also work to rebuild your credit standing so as to avoid higher costs and major financial headaches for the rest of your life. PREVIOUS ARTICLEChurch Credit Cards: Picking a Card & Accepting DonationsNEXT ARTICLE Investing in Precious Metals: Fool’s Gold or Hidden Gem? Credit Card Debt Settlement: What is It, How Does It Work, and What to Watch Out For? Good information shared. I agree with you. Credit card companies usually overdue payment accounts give to debt collection agencies and debt collection agencies use different methods for debt collection from debtors so they can also sue to recover the debt.